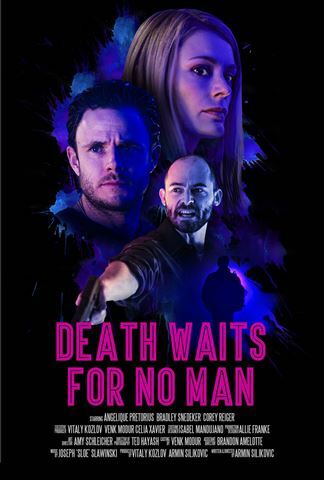 in writer-director Armin Siljkovic’s neon-doused indie noir-thriller Death Waits for No Man. that seduces a lone drifter into killing her abusive husband. Bradley Snedeker, Corey Rieger and Travis Myers. “Death Waits for No Man” is released this Fall. The Lost Boys aren’t the only evildoers in Santa Cruz, welcome to “The House on Rodeo Gulch”!